1.) Split your dough into 4 pieces. 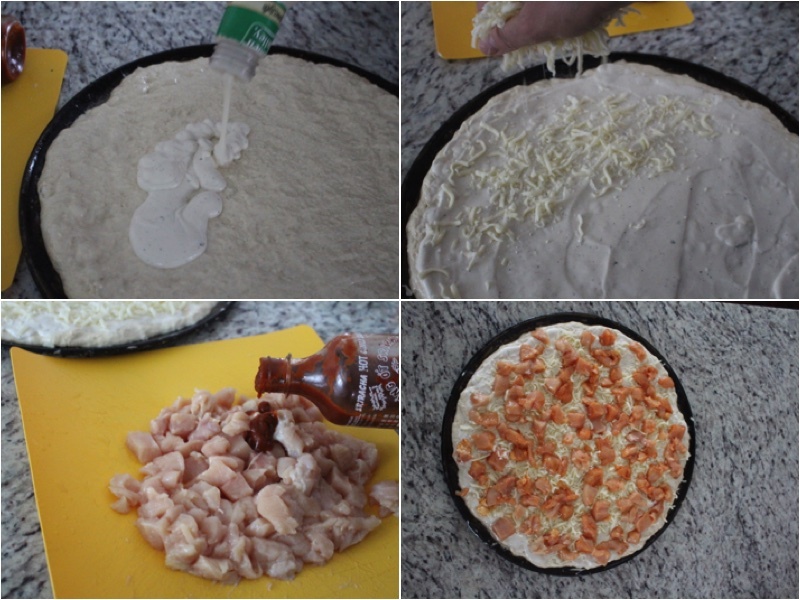 (Each Piece makes on pizza) Place your dough on a oiled pizza form. Using a spoon add ranch and mozzarella cheese. Cut your chicken breasts into small cubes and soak in sriracha sauce. 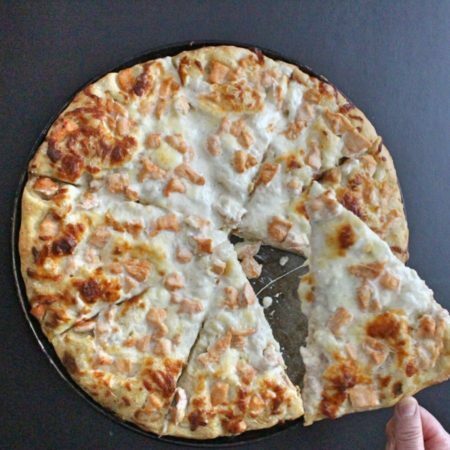 Add your chicken to your pizza. Bake for 25 minutes at 400ºF. Cut, place on a serving dish and enjoy. Split your dough into 4 pieces. 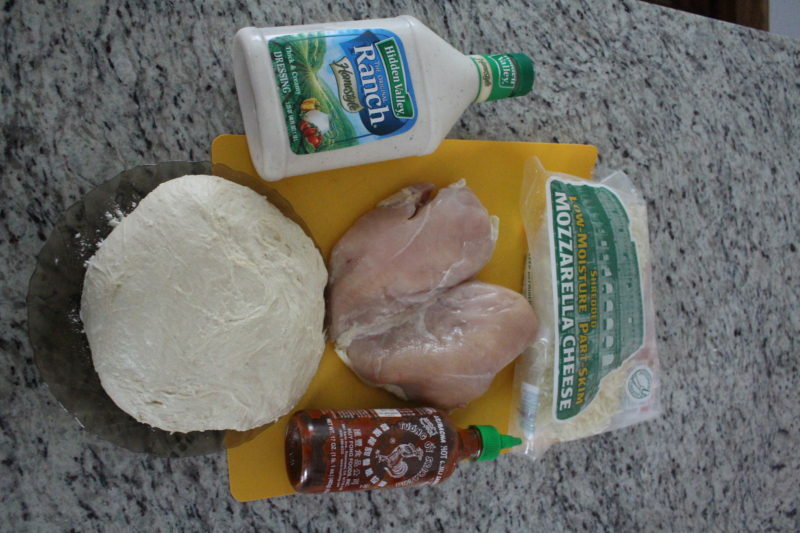 (Each Piece makes on pizza) Place your dough on a oiled pizza form. Using a spoon add ranch and mozzarella cheese. Cut your chicken breasts into small cubes and soak in serrate sauce. 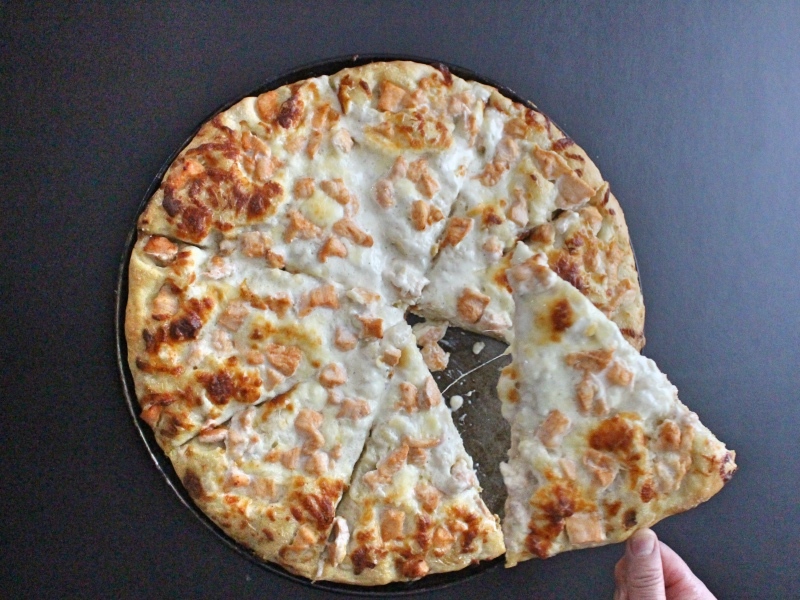 Add your chicken to your pizza. Bake for 25 minutes at 400ºF. Cut, place on a serving dish and enjoy.